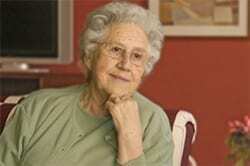 The SARquavitae Alcobendas Day Centre for Elderly People is the centre of Alcobendas (Madrid). The day centre has a team of professionals that serves meals, helps with tasks of daily living, occupational therapy and leisure activities during the day. It aims to improve and maintain older people's level of personal independence and support families and caregivers with the task of caring for elderly people. The SARquavitae Alcobendas Day Centre for Elderly People works using SARquavitae care, organisational, quality and management protocols. Transport: Intercity buses 151 and 153 from Intercambiador Plaza Castilla / Metro: Route 10 Marqués de la Valdavia stop / Commuter trains: Line C4 Alcobendas- San Sebastián de los Reyes stop. SARquavitae Alcobendas Day Centre for Elderly People has 60 places, which are partly subsidised by the Comunidad de Madrid.